Hey guys! Sorry I've been super lazy about blogging. I had 21 people over for Seder on Saturday night and I think I've finally recovered enough to begin writing again. I have many stories to tell you. Sit back and enjoy. Saturday, Mr. Yoy took the boys out of the house so I could cook without begging children underfoot. It was such a help! As part of their four hour excursion, they stopped at Boston Market for some chicken. The lady working there asked if the yoys wanted balloons. Of course, the answer was yes. She asked Big E what colors he wanted for him and his brother. No hesitation there, Big E knew what colors he wanted. The lady asked Mr. Yoy if it was ok if Big E had a pink balloon. 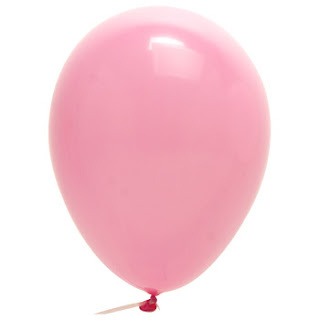 Are gender roles so ingrained in us that a pink balloon request by a little boy is enough to send this woman into a tizzy? Mr. Yoy gave the thumbs up. If Big E wanted a pink balloon, then a pink balloon he shall get. A little perspective people, please. It is a balloon. And it is pink.